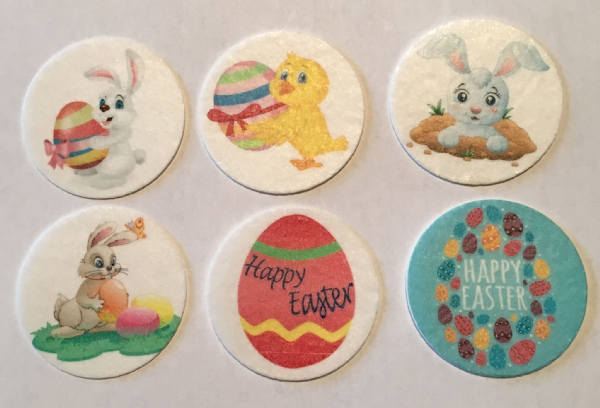 In this Easter selection you get 6 different designs so with the 1.5 inch toppers there are 4 of each design and with the 2 inch toppers there are 2 of each design. Very popular with customers this selection is available in both Premium Wafer Paper and Icing, are printed using edible inks and are all precut. As with all of our toppers they are Kosher and suitable for vegetarians.